The light-hitting backup catcher got the call for the playoffs after the injury to Brian Jeroloman. Although he was mostly insurance, he did give Jeff Howell a breather for the last three innings of the Game 1 blowout against Trenton. Leonida registered a bad passed ball on a strikeout and popped out weakly to the shortstop in his lone at-bat. Manuel was another insurance piece behind the plate as the Rice product was assigned from Low-A Hagerstown in case something happened to Sandy Leon. During his time with the Senators, Manuel did manage to get a pinch-hit at-bat where he reached base on an error. After returning to Hagerstown, Manuel would eventually earn a late-season promotion to Potomac where he’s likely slated to be their everyday catcher in 2014. The Groovin’ Aruban got the call after Steven Souza went down with an injury two weeks into the season. Despite launching a three-run HR as one of his two hits, Oduber definitely appeared overmatched at the plate striking out nine times in 18 at-bats. With the Senators’ pitching staff stretched thin in late May due to injuries and promotions, Rauh gave the team a badly needed four innings of solid relief work. He returned to Hagerstown knowing that this was a one-time deal, but a short two weeks later the pitcher was promoted to Potomac for the remainder of the season. The Indiana righthander made the long trek from Syracuse and back again for a one-night spot start in mid-June. Tatusko threw seven innings of four-hit ball holding Richmond to one unearned run while striking out four. 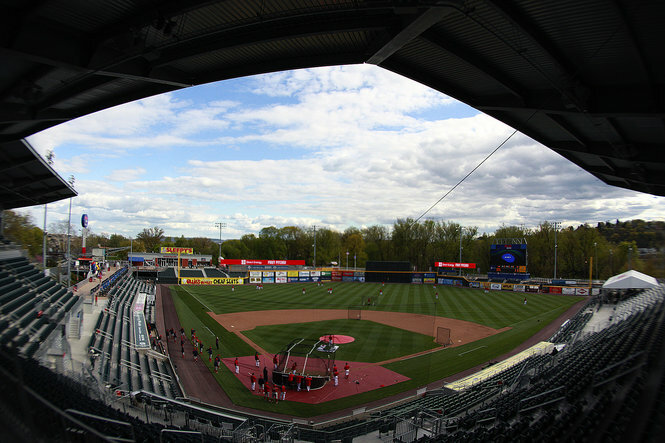 After spending the last two full seasons at Potomac, it appeared Wort was ready for the step up to Double-A Harrisburg. Wort managed to pick up the win on opening night but things went downhill from there for the lithe reliever. My lasting memory of Wort from 2013 will be the infamous game when he allowed two wind-blown home runs in a torrential downpour before the game was finally called by the umpires. In his disgust, Wort launched the game ball all the way into the back parking lot at Metro Bank Park. Wort would last one more game in Harrisburg before a trip to the DL and a demotion for the remainder of the season to High-A. 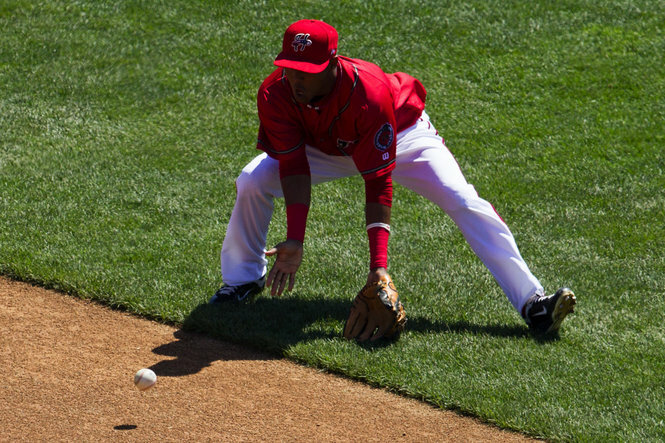 Soriano provided the Senators with some needed positional flexibility as the Dominican Republic native logged multiple games at second base, shortstop, and center field. He didn’t hit much, .208 with only five singles, but Soriano was flawless in the field as he didn’t commit an error. The reliever had two different rehab stints with the Senators in 2013. The first went fairly well as Garcia made three appearances and allowed only one earned run in early June working his way back from a forearm injury. Garcia’s second go-round was much, much worse as he disastrously couldn’t find the plate in the Game 3 playoff game against Erie. With the game on the line, Manager Matt LeCroy gave him a quick hook after he tossed eight balls on eleven pitches. For the second straight season, Mattheus returned to Harrisburg as part of his rehab program. The righthander pitched in three games with the Senators sandwiched between appearances in Hagerstown and Syracuse. Mattheus allowed one run on five hits and two walks in four innings of work. The power-hitting first baseman came into 2013 with such promise. A season-ending injury in the second game of the season would end it disappointingly however. Skole reached down the base line for a wayward throw and clipped Bowie’s Ty Kelly running to first. The collision caused a small fracture in his wrist and tore his ulnar collateral ligament and flexor tendon right off the bone in his elbow. Skole’s RBI double earlier in the game stands as his lone hit of the season. Ramos caught nine innings over two games as part of his rehab in late April from an early season hamstring strain. “The Buffalo” went 2-for-4 with a double and run scored in his brief stay with the Senators. The wunderkid played two games for the Senators during a weekend series in Bowie. Harper scored three runs, drove in two, and provided energy the team badly needed. LeCroy used Harper’s at-bats and approach as a shining example of what the rest of his guys should do on a daily basis. 2013 had to be a frustrating season for the former first-round draft pick of the Expos. After the southpaw reliever was sent to extended spring training to re-discover his release point, he made only four appearances before arm issues shelved him for the rest of the year. In those four games, Bray did throw 4.1 innings of scoreless relief while striking out six. But this very well may be the end of the line for Bray. Pennlive’s Andy Shay came up with the perfect nickname for Frias, “Box of Chocolates”. 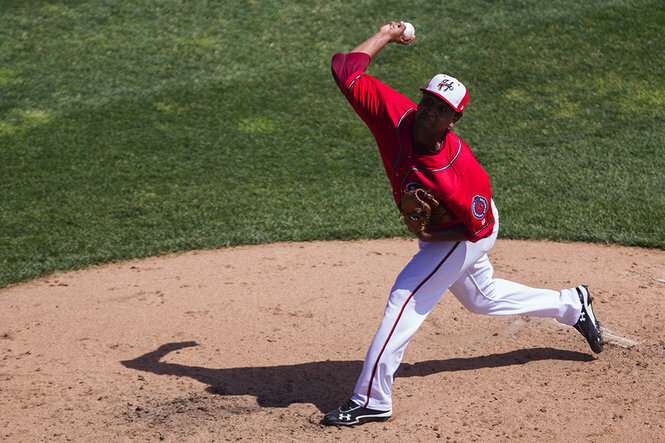 Because every time he entered the game it was like the famous line from Forrest Gump, “You never know what you’re gonna get.” Frias pitched himself to Potomac and eventually was released from the Nationals until he latched on in the independent Can-Am League. This season was a year of struggles for Lehman with his mechanics and injuries. The George Washington product worked with pitching coach Paul Menhart to regain his leverage on the mound but ultimately fell victim to arm issues that cost him most of 2013. Lehman’s future is up in the air as he still under contract but lots of pitchers have passed him on the Nationals’ organizational chart. This entry was posted in Uncategorized and tagged Bill Bray, Brian Rauh, Bryce Harper, Christian Garcia, Cole Leonida, Craig Manuel, Francisco Soriano, Harrisburg Senators, Marcos Frias, Matt Skole, Pat Lehman, Randolph Oduber, Rob Wort, Ryan Mattheus, Ryan Tautsko, Wilson Ramos. Bookmark the permalink.